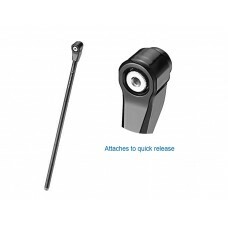 Buy adjustable bicycle kickstands for road, hybrid and mountain bike online in India. 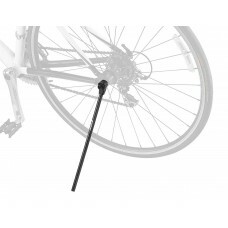 Most bicycles these days do not come with a bike kickstand. Leaning the bike against the tree, railing or fence, are some bicycle kickstand alternatives, but it could damage the bike. 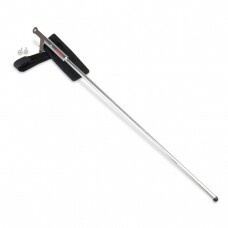 If you make frequent stops to check out the surroundings, it's best to invest in a bicycle kickstand. 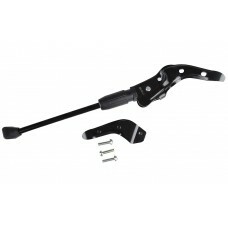 Shop for adjustable kickstands for a kids bike, road, hybrid and mountain bike online in India at wizbiker.com. 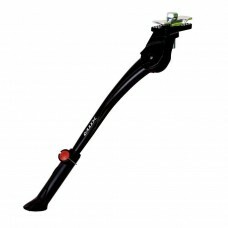 About Ibera Removable Bike Stand-IB-ST6 Ultralight, portable bike stand. 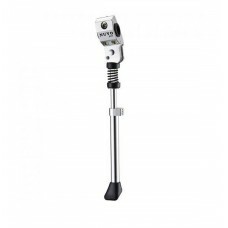 For 26" and 700 C whe..
About Ibera Removable Kickstand ST7 Lightweight, portable bike stand. For 26" and 700 C wheels..
About Nuvo Kickstand AdjustableModel: NH-KF-96AAJ-Z Material: Alloy top with alloy leg Adjusta..
About NUVO NH-KF55SA Kick Stand FixedModel: NH-KF55SAFitted to seat tube and chain stayF..
About XMR Alloy Center Kickstand 100 Silver (CL-KA36) XMR’s alloy centre stand can be used for whee..